Going to Disney is the same as running, right? This week we were scheduled for runs Monday, Tuesday, Wednesday, Friday and Saturday, with the Friday/Saturday runs at around 5-8 and 12-14 miles. We had the best of intentions too. We even managed to hit up the gym Thursday morning and get in a strength workout. But alas, it was not meant to be. The weekday runs went fine, 4-5-4 as I had planned. Friday I woke up a bit tired, so only did four miles before work. It’s my birthday week (well, it’s Monday, but you know…celebrations start earlier). Friday after work we hit up some spots for happy hour, then went home after walking around at a monthly art show thing in our neighborhood. Saturday we knew we were going to Disney, but had still planned to get some miles in. Instead, I woke up very late for me, and there just wouldn’t be time to do both. 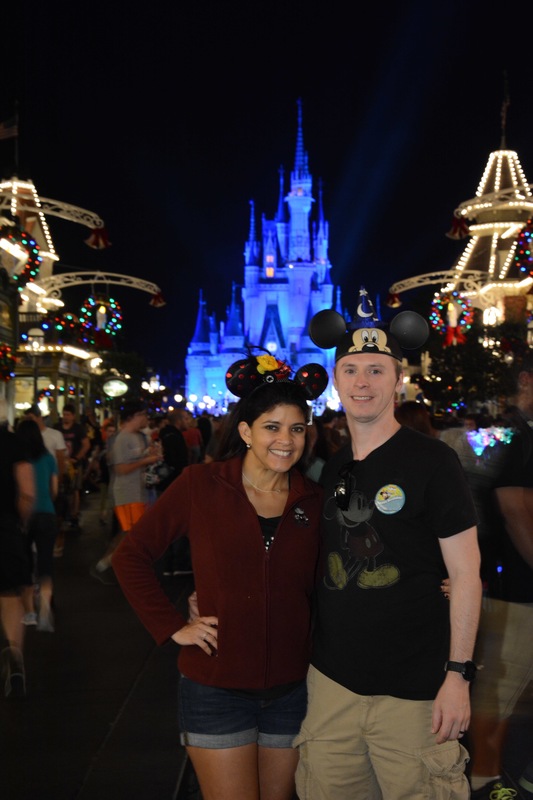 And in a battle between running and going to Disney to have some fun for my birthday….Disney won. Next week I hope we can get back on track. My mother-in-law is with us for another week and a half, then my aunt-in-law is here for two weeks, then my mom for a week. By that point, over a three and a half month span, we will have been alone for one single day. It’s not ideal conditions to be training for anything, let alone an undertaking as large as Dopey, especially after wasting away July, August and September. But what can you do. This entry was posted in Running by JB. Bookmark the permalink.